Do you have probate questions? We offer a free consultation on all new probate matters. Please contact us to learn more. Probate is the court process of transferring assets to persons called beneficiaries after a loved one has passed away. This can occur if the decedent passed away with or without will. In its simplest form, the Decedent cannot sign bank accounts, checks, deeds, notes, etc. For example, if the Decedent owned a home you would not be able to sell or refinance the property without filing for probate. The bottom line is that the Decedent cannot lawfully transfer assets to you as the beneficiary without filing for probate. Probate proceedings and administrative proceedings are technical and raise a lot of different questions for someone administering the estate. For example, an executor would need advice on how and when to distribute assets and how to appropriately deal with creditors’ rights to estate assets. Moreover, there are certain legal notifications which must be published to creditors. Court documents would need to be obtained, such as Letters Testamentary or Letters of Administration. In addition, illiquid assets may be required to be sold in order to settle the estate due to lack of funds. If you want to make an objection to the distributions, there are time factors involved in filing and objecting to claims against the estate. Proper Estate Planning can reduce or eliminate the need for a probate proceeding. However, this of course requires that you establish a plan before you pass away. There are a number of different ways to avoid probate, but the most common is to establish a revocable trust. Why Ogden Law Firm, PC? Ogden Law Firm, PC, has extensive experience in helping clients settle the estate quickly and efficiently, and in making claims in connection with a pending probate or administration. 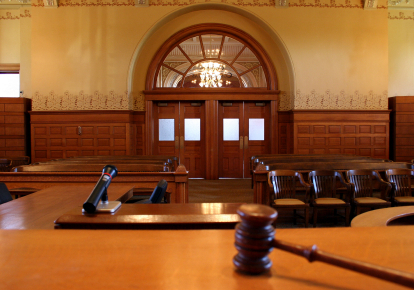 If you need the experience and assistance of a seasoned Modesto probate attorney, contact us.